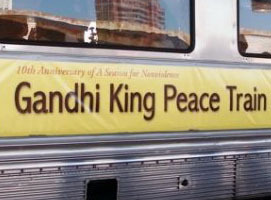 As a result of a decade of sustained strategic action, the Gandhi King Season for Nonviolence has helped to launch a new model for omni-local, spiritually-based peace governance, igniting a fusion of new communities and initiatives. “S.P.A.N. the Next Decade” celebrates, four “Seasons” each year; groups may choose to participate in every season, specific seasons, or focus on one season as a theme for their permanent work. September 11- December features A Season for Interfaith & Intercultural Celebration (SIIC). SIIC is followed by the Gandhi King Season for Nonviolence, A Season for the Earth, and A Season of Humane Service. As an organization dedicated to evolutionary practices, AGNT has fostered through its ten Awakened World conferences a community that insists on pushing the boundaries of our collective potential, and exploring how human beings will successfully navigate an increasingly complex future. The most recent Awakened World conference was a pivotal gathering to shape an evolutionary moment in human history. The event brought together some 300 peace leaders and spiritual activists from religious and spiritual communities around the world, representing a broad spectrum of expertise and endeavor. Out of the enthusiastic response of participants to the unique process launched in the Italy conference, the Association for Global New Thought has now developed the: “Awakened World Synergy Seminars.” These powerful dialogues empower spiritual leaders and activists to explore the evolution of spirituality and society in the 21st century as a significant challenge and opportunity for their community, as well as for the world. Dharamsala, India, 1999; Trent, Italy, 2001; Rome, Italy, 2004. With His Holiness, the Dalai Lama of Tibet acting as guide and moderator, a very special assignment of AGNT is to serve as organizers of the Synthesis Dialogues, an interdisciplinary symposium among a small wisdom group of globally respected religious and secular leaders representing new visions and models for social architecture. The purpose of the Abraham Path Initiative is to open up A route in the Middle East retracing the footsteps of the prophet Abraham (Avraham / Ibrahim), revered for his faith, patience, selflessness, and commitment in responding to the call of God. The spiritual significance of the common patriarch to Judaism, Christianity and Islam is described in the sacred scriptures of each – the Hebrew Bible, the New Testament, and the Qur’an. In an age where faith and action begin to discover convergent paths, Abraham once again holds a key to healing the human heart; by believers in all three religious cultures, Abraham is greatly beloved. The Association for Global New Thought, the Chopra Foundation, and the Source of Synergy Foundation convened in 2008 a group of renowned Evolutionary Leaders to the Chopra Center in Carlsbad, California, to explore their extraordinary potential as a collective. Out of this gathering came A Call to Conscious Evolution: Our Moment of Choice, and the Evolutionary Leaders Map. The Association for Global New Thought convened a GEN NOW retreat in 2009 to gather these new leaders and capture their vision. These young leaders are shaping new narratives and strategies for grassroots activism on a global level. At this gathering, the AGNT Leadership Council took direction from their reports on the innovative programs, trends, and technologies in which they are engaged. AGNT is committed to promoting the work of GEN NOW in the world through its networks, connections, and partnerships. AGNT and women leaders in the New Thought movement have begun formulating a next phase approach to a spiritually guided women's leadership network in New Thought. It is co-designed and co-facilitated by the women forming and leading local and regional groups already based in our centers, or those of us inspired to form new ones. Now we feel called to explore the possibility of co-creating a New Thought Women's Network, including women who are closely aligned with our spiritual mission whether or not they are directly involved in NT churches. There is not yet a "plan" in place... it's a leap into new territory. 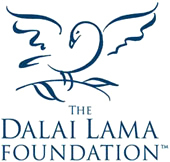 The Dalai Lama Foundation (DLF) was the Association for Global New Thought's special guest for two unique free teleseminars that honored the addition of His Holiness the Dalai Lama’s name to the Gandhi King Gyatso Season for Nonviolence this year. The teleseminars presented fresh news of the Dalai Lama Foundation's plans for expansion of this course, and perhaps to offer "Beyond Religion," the Dalai Lama's newest work, for future SNV study circles. His Holiness’ newest book, Beyond Religion, makes the case that religion is evolving, and must evolve, in order to serve humanity at the next level of its spiritual development. Dogma and exclusivism, fundamental contributors to a divided world, must begin to give way to a broader set of values (based in love and compassion) that are practiced from within the sacred human being, setting the stage for universal spiritual principles that will drive the new global society we envision. In development is a multi-week teleseries in which religious and spiritual leaders, along with social philosophers and pioneering thinkers in the consciousness movement, discuss and develop a solid platform to share this important new concept. Working as a co-founder with Arun Gandhi of the M.K. Gandhi Institute for Nonviolence, AGNT is the official Convener of the Gandhi & King: A Season for Nonviolence. The 64 day period between January 30, and April 4, 1998 commemorated the 50th and 30th memorial anniversaries of these legendary peace-makers and continues as an annual program with activities in 900 cities in 67 countries, including an annual program for youth at the United Nations. Season for the Earth is devoted to focusing our consciousness-in-action so we are better able to heal, nurture and transform the environment-- an undertaking now vital beyond description. As you will see from our list of Programs and Resources, AGNT partners with environmental awareness organizations that share our vision of spiritually motivated, caring choices toward a thriving, healthy planet. AGNT offers a 9 week teleseries as a central feature of our “Season for Interfaith & Intercultural Celebration.” The highly attended series features AGNT Leadership Council members and leaders from all the primary New Thought organizations play active roles on the panels, hosting prominent religious and spiritual leaders from each faith tradition on the planet, discussing a wide range of critical social issues. http://www.agnt.org/interfaith-course. High quality recordings are integrated with additional written materials as a group study course in 9 modules, available FREE on our website. A wide range of additional resources and program materials promoting realistic was to organize for religious and cultural harmony in your community are available on our website. We created an exceptional, once-in-a-lifetime conference experience to celebrate a decade of Peace on Track. The conference took pace aboard 4 custom chartered railcars proceeding from Los Angeles to San Jose, stopping for a full day of cutting-edge programs at the state-of-the-art San Jose Marriott. The conference reconvened on the train coming back down the California coast where SNV task force leaders from around the globe met each other in person for the first time to exchange stories, strategies, and ideas. 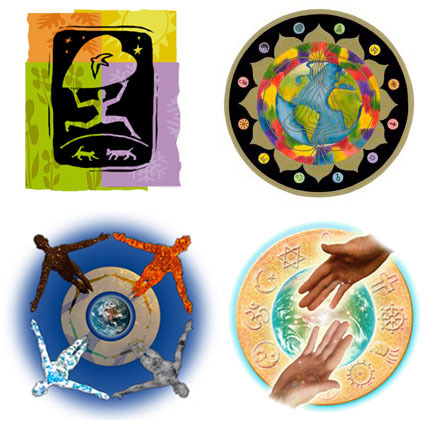 The Association for Global New Thought and Humanity’s Team co-convene the 4th Annual Global Oneness Day (G.O.D.) on Thursday, October 24th, which is also United Nations Day. This is a FREE live virtual event open to international callers and web-users. Earth Day, launched in 1970, has inspired millions of people around the world to support environmental protection. It also inspired an organization called Humanity’s Team to create “Global Oneness Day,” to awaken millions of people to the timeless truth that we are all interconnected, and collectively invested in the challenge to restore health and wellbeing to our global community. Ambassador Anwarul Chowdhury, a former Undersecretary General for the United Nations, said “until there is a sense of solidarity among the peoples of the world, all of our efforts for peace and security will go nowhere”. We agree. The illusion of separation has become a dangerous impediment to the health and well-being of life at all levels and there has never been a better time to act on our common vision. On Global Oneness Day October 24th, Humanity's Team and the Association for Global New Thought will bring together social experts, scientists, business leaders, spiritual mentors, entertainment professionals, and unsung heroes doing the work on the front lines. For a full day we will explore how awakening to Oneness -- to who we really are -- deepens our connection to all of life, inspiring compassionate service to each other and the world around us. The Awakened World conference was a pivotal gathering to shape an evolutionary moment in human history. The event will bring together some 300 peace leaders and spiritual activists from religious and spiritual communities around the world, representing a broad spectrum of expertise and endeavor. The work of the group will focus on training and empowering agents of change, shaping a coherent and sharable map of evolving religion and spirituality, and inspiring concrete new initiatives of service to humankind and the Earth. Three organizations – the Association for Global New Thought, the International Committee for the Peace Council, and the Interreligious Engagement Project – will share responsibility for developing and implementing the event. They will work closely with colleagues in Italy, including representatives of the Focolare movement, and other NGOs. AGNT convened a distinguished panel to represent New Thought at the 1999 & 2004 Parliament of the World’s Religions in Capetown and again in Barcelona. The 1993 Parliament of the World’s Religions in Chicago marked the centennial anniversary of the first Parliament, held during the Colombian Exposition in 1893. The 2009 Parliament of the World’s Religions, hosted in Melbourne, Australia, will be an international interreligious gathering spanning seven nights and six days – from December 3rd to 9th - bringing together an estimated 8,000 to 12,000 persons. Over seven days, delegates will choose from over 450 activities, including daily morning observances of many traditions, intrareligious and interreligious programs, models of engagement, symposia, performances, open space dialogue and exhibits. A Parliament is a place to come together to listen and commit. The entire program will evolve through 2008 as a result of interaction with religious and spiritual communities, as well as civic and corporate groups across Melbourne and Australia. The organizations within New Thought are evolving toward collaborative models that have not been possible in the past. We are also reaching out beyond our own spiritual community to form relationships with other faith communities and to be of practical service to the world at large. Taken together, this trend toward greater internal cooperation and global outreach calls us to develop new strategies for presenting a unified identity on the international stage. Out of the enthusiastic response of participants to the unique process launched in the Italy conference, the Association for Global New Thought has now developed the: “Awakened World Synergy Seminars.” These powerful dialogues empower spiritual leaders and activists to explore the evolution of spirituality and society in the 21st century as a significant challenge and opportunity for their community, as well as for the world. Collectively, local seminars will contribute to a body of wisdom and work that set the stage for the next decades of evolutionary activism. They are guided by the logic and conviction that quantifiably tracked and replicable models for change, when multiplied at the local level, can contribute to an evolved global set of values and practices. The seminars are designed to serve spiritual and secular communities whose members are motivated by their faith, ethics, and sense of civic responsibility to directly engage in activities that might help build a more positive future. The Seminars aggregate themes that most concern communities and the larger society of which they are part; however, these themes must be considered together as a whole system in order for challenges and solutions to be fully understood, and for practical action to be engineered. Because many organizations, associations, and spiritual centers may not have the time, staff or resources to convene such a conversation successfully, the “Synergy Seminars” provide a comprehensive, customizable package of templates that will assist any motivated leader in producing such an event (for their immediate or wider community) within eight weeks. With His Holiness, the Dalai Lama of Tibet acting as guide and moderator, a very special assignment of AGNT is to serve as organizers of the Synthesis Dialogues, an interdisciplinary symposium among a small wisdom group of globally respected religious and secular leaders representing new visions and models for social architecture. Project Director is Dr. Barbara Fields, Executive Director of AGNT; co-director in 1999 and 2001 was the late Bro. Wayne Teasdale, Benedictine and monastic in the Sannyasa tradition, a close personal friend of His Holiness who formulated with the Dalai Lama the Universal Declaration on Nonviolence. The Synthesis Dialogues were inaugurated in Dharamsala, India, in September 1999, at the Norbulingka Institute. Synthesis II was held June 27-July 2, 2001, at the Mariopolis Retreat Center of the Focolare community near Trent, in northeastern Italy. The Association for Global New Thought (AGNT) convened the third Synthesis Dialogues with His Holiness, the Dalai Lama of Tibet, at the Focolare International Center at Castelgandolfo, in the Roman Hills, situated in the property which is the Summer Residence of the Pope. The 2004 meeting included approximately 30 participants. We invited recognized leaders from among each of the world’s religious traditions, and representatives of nations most immanently involved in questions of governance, religious violence, and sustainable human rights. Facilitation by the convening organization, the Association for Global New Thought, aimed at establishing spiritual ethics and radically evolved personal, national and traditional relationships of faith as the ground of our strategic collaborations in the future. The plan was to meet and work for a couple of days as a group, after which we were joined by His Holiness, the Dalai Lama. Performance arts and music deepened and enriched the conversation of this gathering. Intentional time and space was afforded for meditation and reflection. All participants were significant leaders in their own right who sense that important breakthroughs are possible only by encountering the creative imagination of their counterparts in other fields. And it probably fair to say that everyone shared an interest in the question of consciousness, itself, in the sense that transformation within the individual precedes any hoped-for impact upon the larger community. The Abraham Path is a call to our collective moral imagination. It is also a call to action. Against a backdrop of conflict in the Middle East that has become a global symbol of intractable strife and despair, the path -- with televised images of imams, priests, and rabbis walking together -- will introduce millions around the planet to new possibilities for mutual respect. One of the most significant and exciting objectives of The Abraham Walk will be a comprehensive educational and awareness campaign centered on understanding of and respect for the different faiths. ‘Abraham Walks’ are being designed in local communities throughout the world with people walking from churches to mosques to synagogues and other places of worship with “omni-local” grassroots teams from many faiths and cultures taking the lead. AGNT offers free resources for purposes of self-study and community-building, as well as design and logistic support for local Walks.